I have fond memories of Barbie from when I was growing up. Now, when I say Barbie, I mean the doll - because that is all there was. Sure, she had friends and clothes and accessories and mansions and cars and Ken... but that was it. When the latest Barbie item came out, it was the next doll in the series. Nowadays, Barbie is a multi-media maven. There are games, DVDs, downloads, even a virtual world where you can create your own character and hang out. Quite the contrast to the days when I would search through my container for Barbie's other tiny plastic shoe. Needless to say, neither my daughters nor I have ever seen a Barbie DVD before, but when given the opportunity to review Barbie: A Fashion Fairytale, I couldn't pass it up. It's Barbie! Within the first few minutes of watching this DVD was when I was reminded that the Barbie I played with as a child has been updated into a much more modern world. No longer just the character that I enjoyed putting glamorous outfits on, this movie jumped right in to covering topics like texting, Facebook and dealing with cruel things written about you online. After issues with work and a misunderstanding (i.e. 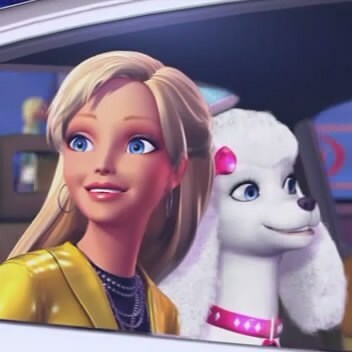 a mean girl) cause Barbie to think that Ken has broken up with her, she is so devastated that she flees with her dog, Sequin, to Paris to visit her eccentric Aunt Millicent. A fashion designer, Millicent is in the process of closing down her business due to the new designer in town stealing her designs - just one of the many villains in this movie. There are ups and downs (involving talking pets and magical "flairies") to this plot as Barbie finds herself with her friends in a race against time to design a whole new line of clothing in a hurry in order to save Millicent's shop and their flairies themselves. All the while, Ken is attempting to follow Barbie around the world to make a "grand romantic gesture" to show her how much he truly loves her. 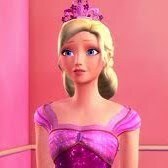 I found myself surprisingly interested in the plot to Barbie: A Fashion Fairytale, although at the same time hoping that my girls were not. I really wanted them to take away the most important message of the movie, that being that "magic happens when you believe in yourself." However, while at the same time that they were learning to work hard and believe in yourself even when it isn't easy, the grown-up themes running through the story made me cringe. I don't want to push the idea of mean girls onto my daughters any more than they already know (or will inevitably encounter) but I felt like this movie was filled with just one too many villain doing and saying hurtful things. And even though Barbie herself showed that staying true to her passions proved successful even when it seemed like the world was out to get her, I felt as though the "happily ever after" might not take away the images or things said throughout the story that I didn't want my kids to see or hear. 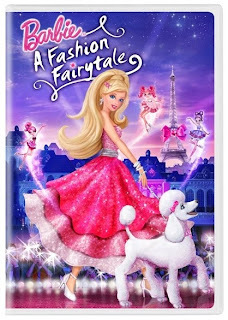 Fortunately, after Barbie: A Fashion Fairytale was over and I asked Big Sister E if she liked it, she nodded. "What did you like best about it?" I asked. After thinking it over for a second or two, she looked at me and said, "The talking doggies!" So if all that she took away from our hour and half spent watching this was the funny talking dogs, then maybe it wasn't so bad after all. Barbie: A Fashion Fairytale is available now and includes outtakes from the film, life as a Barbie doll designer, a music video and much more. 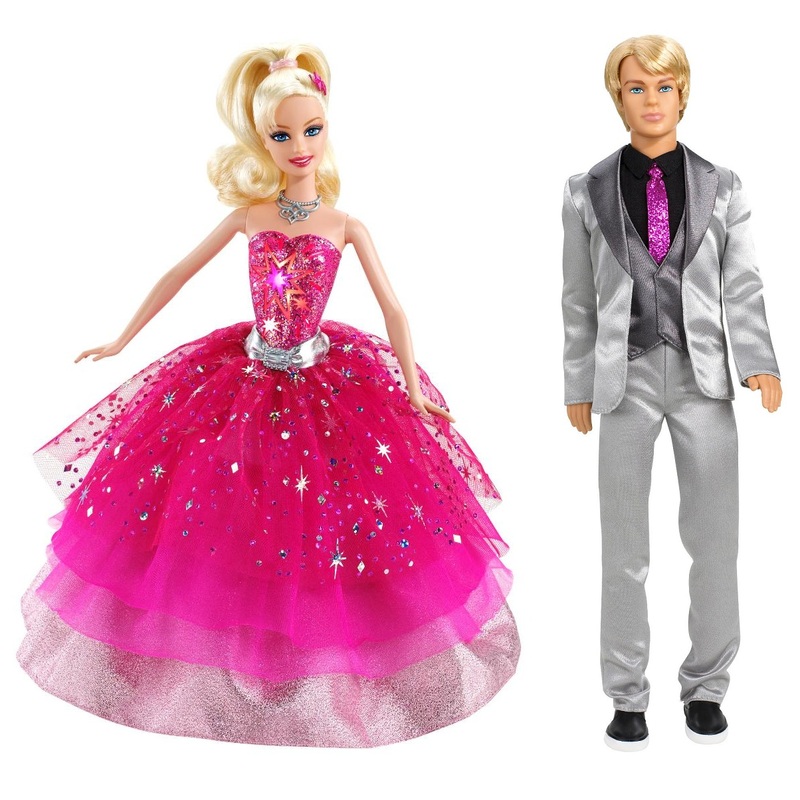 Plus, for girls to live out their own fashion fairytale, dolls and toys from the movie are also available. hi! nice blog (-: i'm your newest follower from ww. bought the barbie movie and i have to admit-- LOVED it! hope you come visit me too. I also have fond memories of Barbie, like my brother ripping off all her arms and legs, cutting her hair and chopping off her hands lol. He was not a nice brother. Zoe is just now getting into Barbie, we will see. She gets so frustrated trying to dress them. This sounds like a cute DVD.